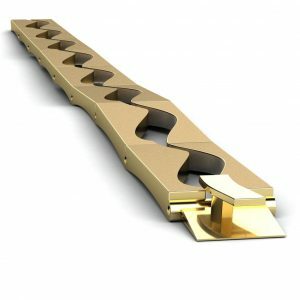 Handmade design bracelet with square links made of 18 carat yellow gold. 18 carat white gold alliance ring set with brilliant cut Sapphires and brilliant cut diamonds. 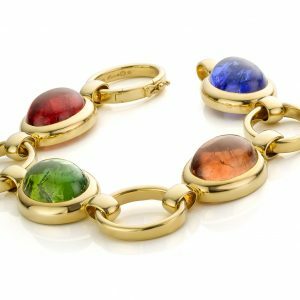 18 carat yellow gold bracelet with three cabochon cut Tourmaline and a cabochon cut Tanzanite. Handmade braceletm made of 14 karat rose gold set with 8 smoky quartzes. 18 karat rose golden handmade slave bracelet with creatively designed inside. 14 karat yellow golden slave bracelet with creatively designed inside. Handmade bracelet with tight links made of 14 karat rose gold. Handmade 14 karat white gold bracelet. Studded with 77 excellent cut diamonds. 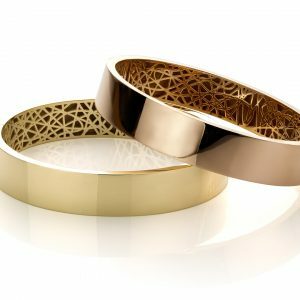 Handmade bracelet made of 14 karat white- gold. Design bracelet made of 14 karat handmade yellow golden. 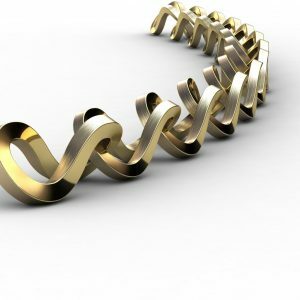 14 karat yellow gold handmade infinity bracelet. Made of fair-trade gold.